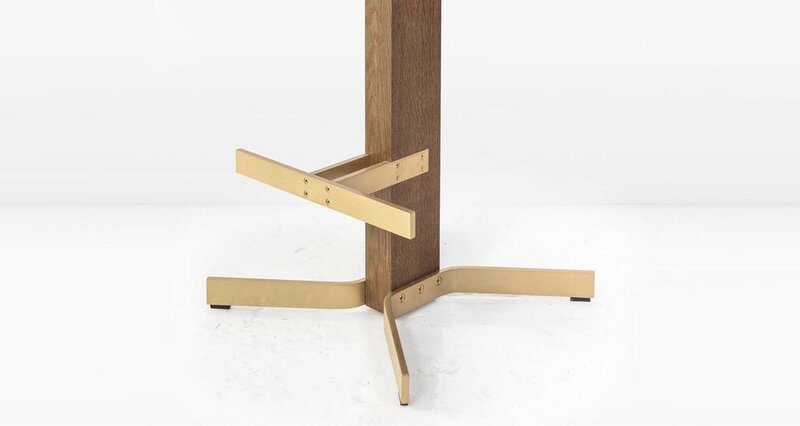 The Walcott swiveling barstool is unique. It has traded in the traditional metal post for a 2x4 wooden pedestal atop a solid Brass base and integrated foot rest. Shown in Fumed White Oak, Solid Brass and Ink leather seat (last 2 images shown with Nickel base and Cherry leather). Available as a counterstool and with a backrest. Base options include American Black Walnut and/or Nickel.